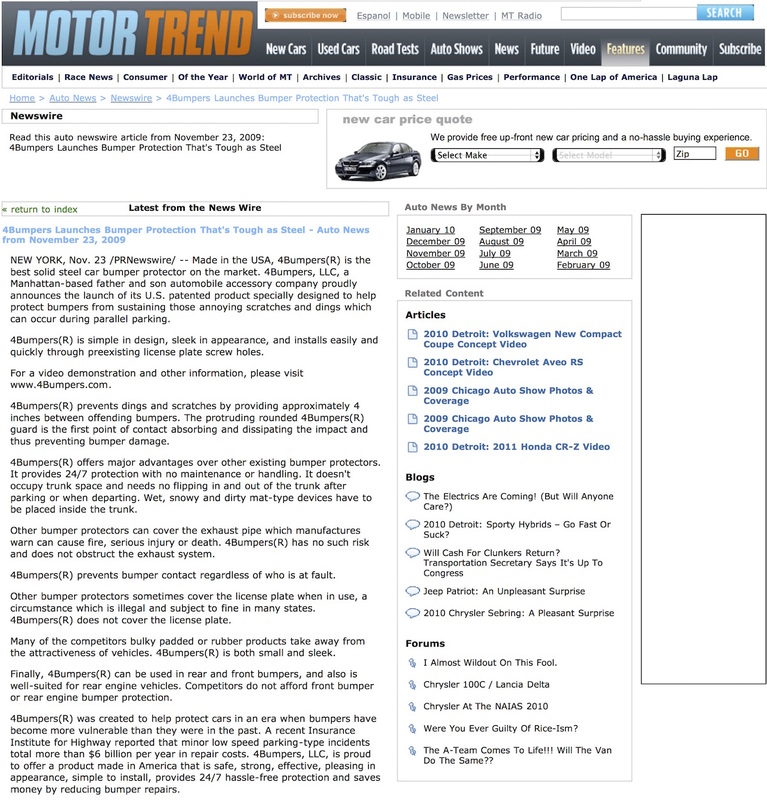 THE FOLLOWING TERMS AND CONDITIONS APPLY TO THE USE OF THIS WEB SITE AS WELL AS ALL TRANSACTIONS AND PRODUCTS SOLD. WARNING: Laws vary from state to state regarding license plate frames and/or obstructions to viewing license plate information. The manufacturer and retailers assume no liability for any use or application of this product in violation of any applicable law. Before purchasing and installing this product we encourage you to check and comply with federal, state and local laws, codes and/or regulations. This device is neither intended nor designed for use as, amongst other things, a step, seat, towing or pulling device. 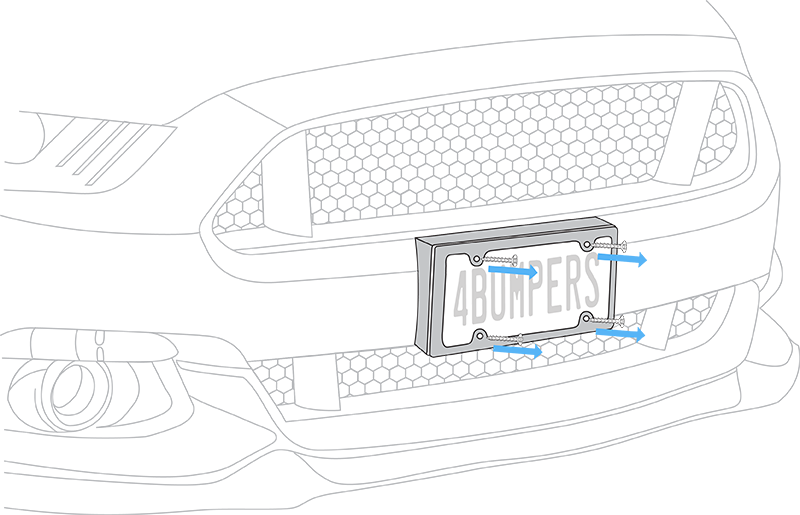 4Bumpers was designed and intended solely to aid in reducing contact that can cause dings and scratches on bumpers while parking. 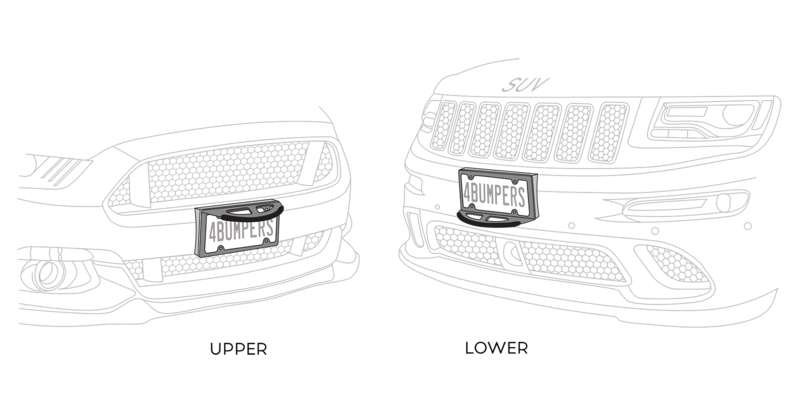 All content appearing on this Web site is the property of: 4Bumpers, LLC. 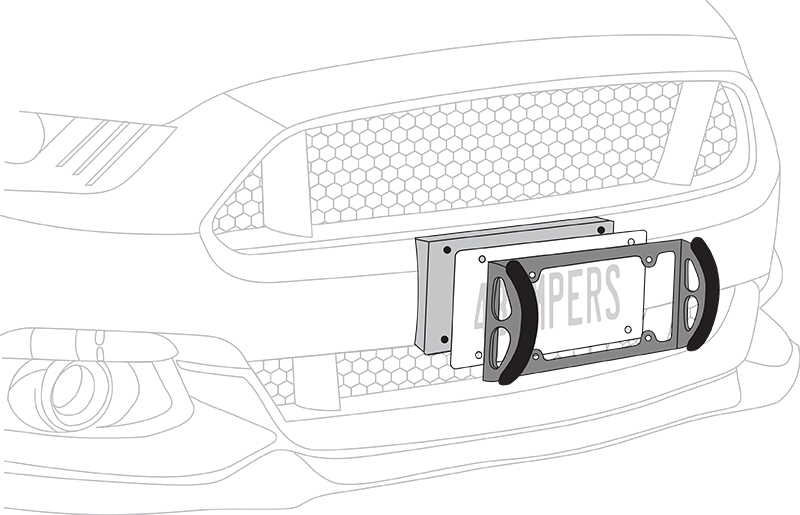 Copyright © 2009–2015 4Bumpers, LLC. All rights reserved. As a user, you are authorized only to view, copy, print, and distribute documents on this Web site so long as (1) the document is used for informational purposes only, and (2) any copy of the document (or portion thereof) includes the following copyright notice: Copyright © 2009–2015 4Bumpers, LLC. All rights reserved. We warranty this product to be free of obvious manufacturing defects at the time of purchase. 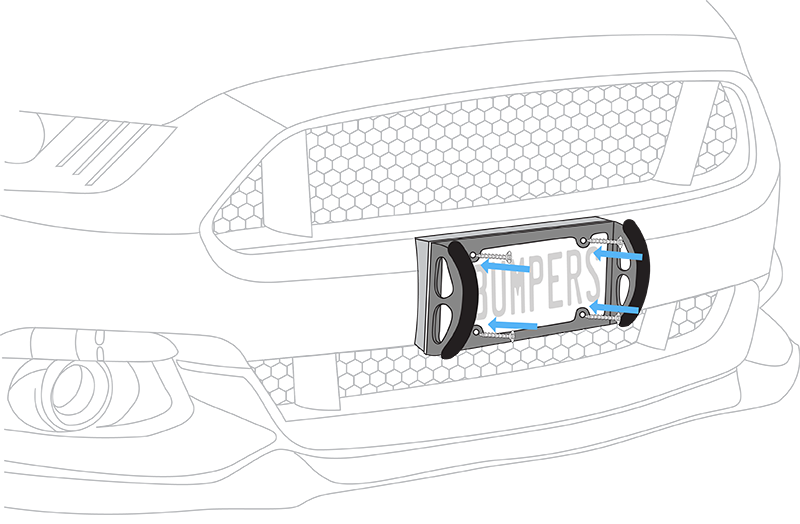 No other warranties, express, implied or otherwise are made hereunder. Damage caused by installation, or in the use of this product is not covered by any warranty and remains the sole responsibility and liability of the user. If you wish to return your order, please contact us first in order to obtain a Return Merchandise Authorization (RMA) number. You may return the item for a full refund (less original cost of shipping and handling) within 14 days of purchase. All original packaging and your invoice must be included with your return. Items that are returned beyond 14 days of purchase and within the 30 days of purchase will be charged a 20% re-stocking fee. Along with the return of your purchase be sure to include your RMA number, name, address, telephone number and order ID number. No refunds will be made for units returned with incomplete information. Return shipping is the responsibility of the customer. If the item appears used/damaged in any way we cannot issue a refund. We cannot accept items for refund that are returned after 30 days of purchase. 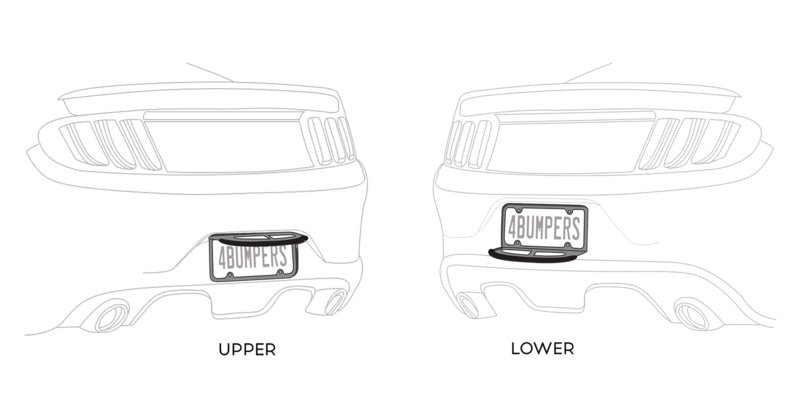 THE ABOVE TERMS AND CONDITIONS APPLY TO ANY AND ALL AUTHORIZED PURCHASES OF 4BUMPERS® REGARDLESS OF WHERE PURCHASED, INCLUDING BUT NOT LIMITED TO THIS WEBSITE, ANOTHER WEBSITE, TELEVISION/RADIO, MAGAZINE, NEWSPAPER, CATALOG, CAR DEALERSHIP, AUTO PARTS AND/OR RETAIL STORES.